In every business deal, business documents with contract templates are a must to make the deal official. Business documents are used to attract investors to make the Business Plan Samples expand further into new territories. The following business document templates are perfect in all aspects, and they will provide you guidelines to prepare an official business document for various purposes such as getting a contract for a project, explaining a project, convincing investors to invest and likewise. This is a sample technical business description whereby a company describes their business by stating system characteristics, system architecture, infrastructure services, system context, system design and standards, and other necessary components. 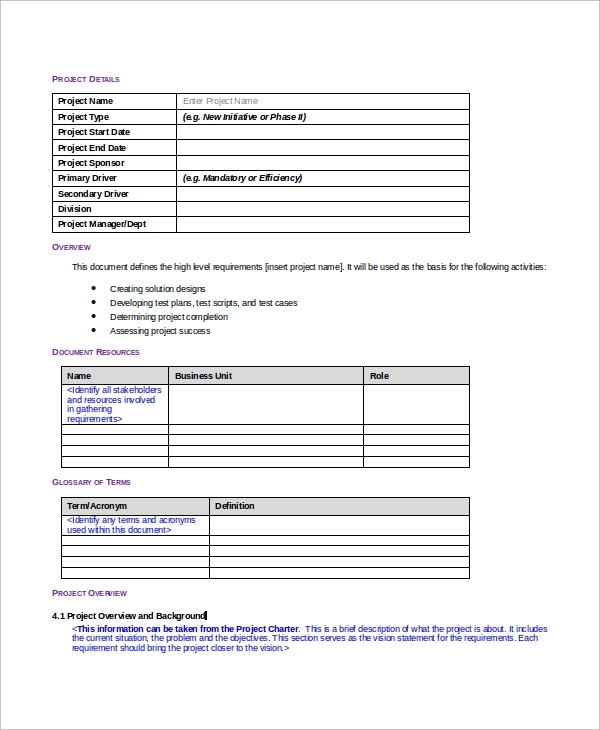 An official business document is used to explain the requirement and scope of a project that a client is about to award to a chosen company. It describes the project overview, constraints, use cases, business requirements and all other necessary parts. 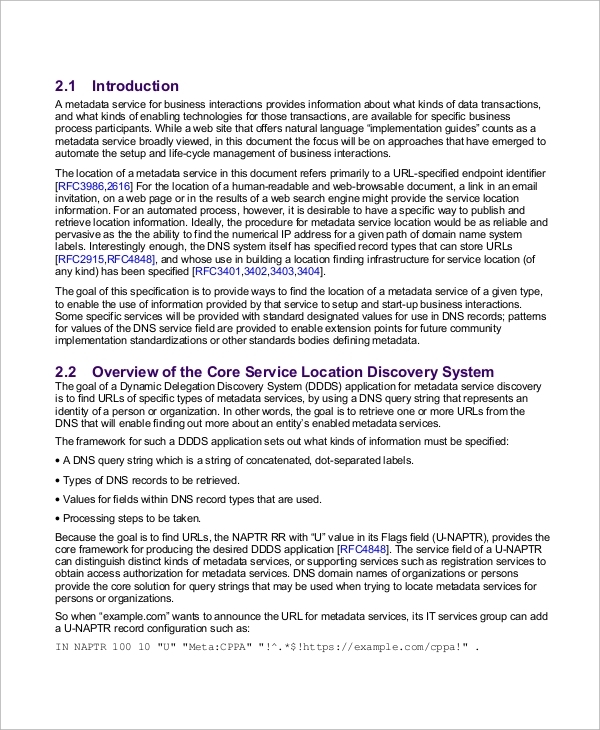 This is a proper document that describes the entire business process of a company in details. It illustrates with diagram and charts the process flow, process boundaries, input, scope, output, control points, and measurements. They are vital documents which can make or break a company because for the growth of the company; they need an investor. For getting a project done smoothly, it is important to clarify and illustrate the project and its requirements easily. It is important to make a potential client understand your services and buy them. All of these business process templates come with contract templates and hence, they are legal documents that could be produced in the court in the case of breach of contract. You can also see the Business Estimate Samples. 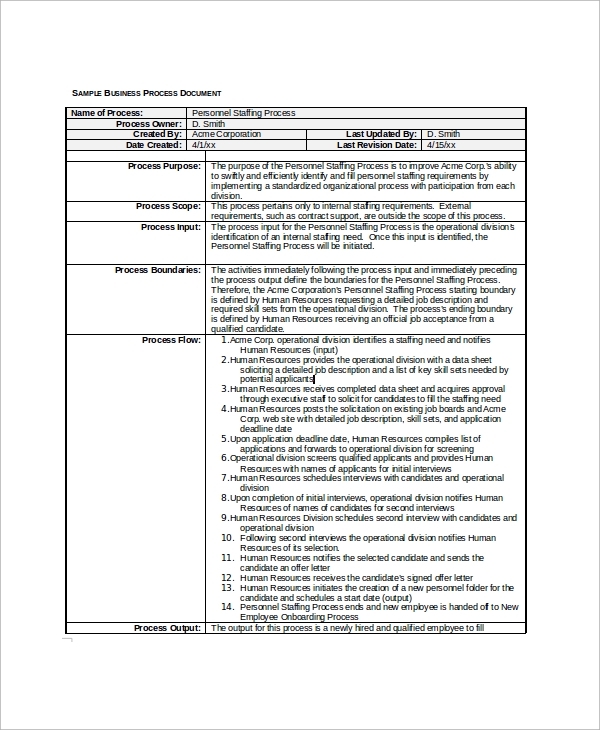 This is a document template for describing business services. It is used to get new clients and explain a potential client the entire process of business service to impress them and fulfill their requirements. It also comes with contract templates to award the project. You can also see the Sample Business Plans. 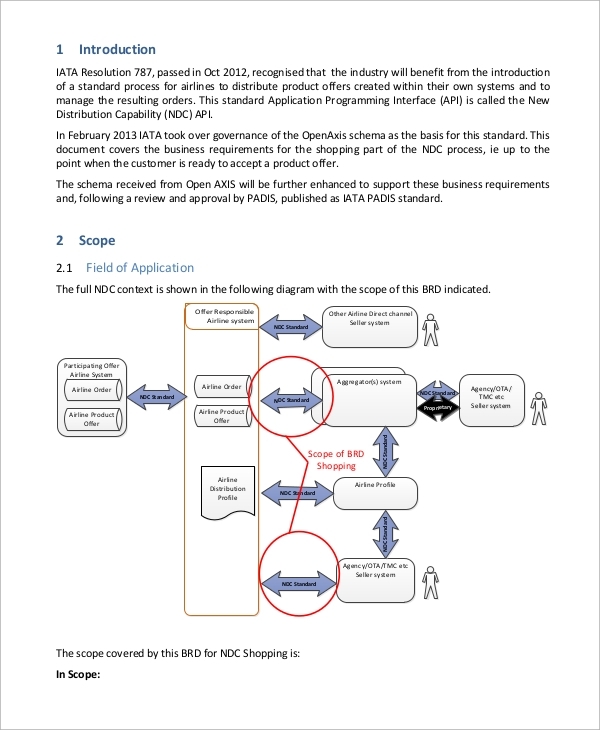 This is a complete manual document that describes all the business requirements in details. It states the scope of the business, functional requirements with the full description; it has multiple models to describe with illustration. It has multiple use cases for reference. 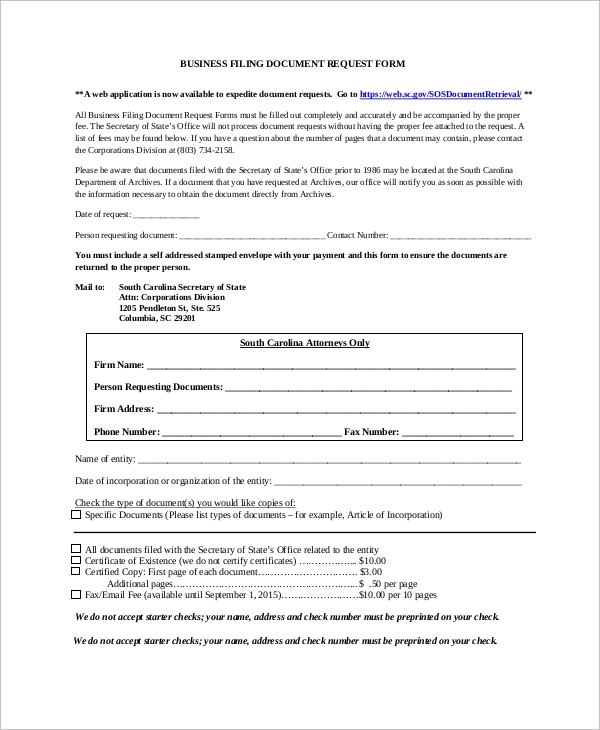 The targeted audiences of the business document templates are the corporates and professional content agencies and writers that companies hire to prepare their required documents. They are useful for entrepreneurs who write their document all by themselves and pitch it to different potential investors to raise fund and diversify the business for future growth and scope of profitability. These templates and samples can be used by management officials as well to prepare new service documents and plan to impress new investor to attract funds. You can also see the Sample Business Proposals. The above-listed business documents are more like Agenda Samples as they are tailor-made to satisfy specific agendas such as making a client understand a service, making an investor to understand the business and its scope for growth, make a company understand a project before awarding it. 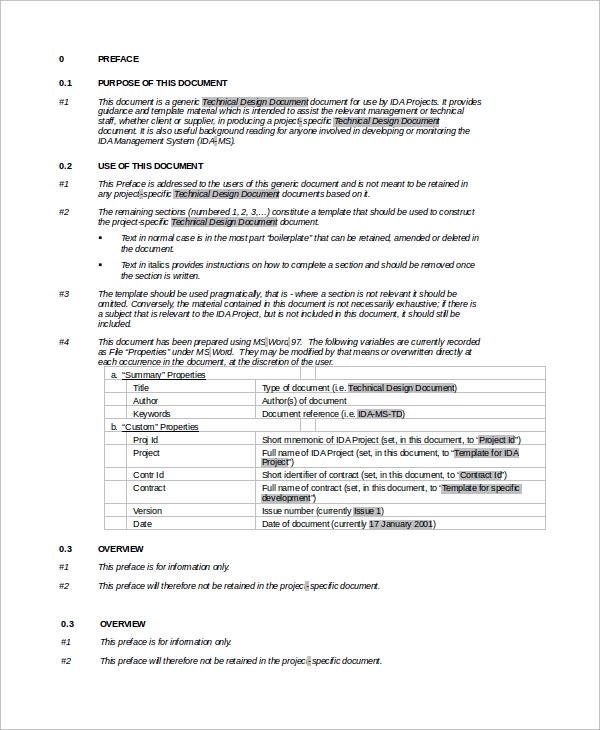 They are contract templates with contract examples along with document templates.